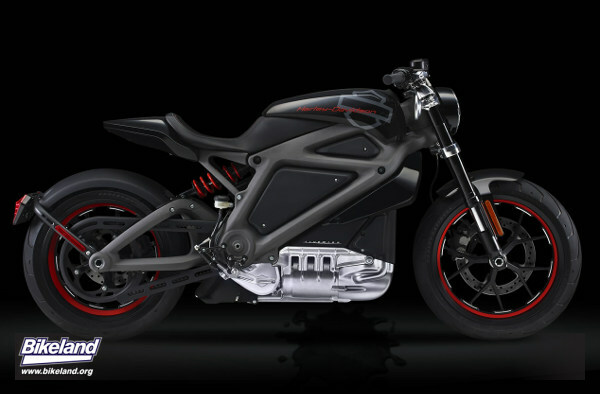 While the motorcycle community scratches their collective heads wondering why Harley finally managed to get a motorcycle to weigh in at a titch under 400 pounds, only to make it electric, the mainstream media gushed over HD's latest offering. Since all of us know that only "real" motorcycles come from America, and therefore from Harley Davidson, media outlets from CNN and Fox all the way over to the Christian Science Monitor suddenly have mototojournalists on the payroll. Luckily, Bikeland's own Harley specialist and contributor, Erizo, has the inside scoop on what the Milwaukee Journal Sentinel, Washington Post and NPR have all missed, and it's the yet to be revealed options HD will soon announce, under the EAGLE brand. We at Harley Davidson know what you real bikers want, and that's a modern motorcycle that still feels like a classic! For that reason we at the Harley Davidson R&D department decided to give you the true feel of our gasoline V-twin motorcycles on our new MILWAUKEE LIGHTNING™ electric bikes. The heart of the EAGLE SOUL™ is an American made steel drum fitted with a counterweight (made in china - may contain lead) eccentrically located to precisely replicate the primary vibration of our famous motorcycles. This is driven by a toothed belt from the rear wheel and the vibration level authentically rises with road speed. By selecting the correct counterweight (additional counterweights not included) you can give your MILWAUKEE LIGHTNING™ electric bike the same feel and vibration as our most famous motorcycles from the classic FLATHEAD™ to the latest TWIN CAM™. To complete the overall effect, we now also offer the EAGLES TEARS™ oil leak simulator! The EAGLES TEARS™ module includes a tank containing our specially formulated oil in varying shades from clean to black (EAGLES TEARS™ oils are not included in the price of the module). When you park your MILWAUKEE LIGHTNING™ electric bike, an electric solenoid opens and releases a perfectly metered amount of EAGLES TEARS™ on the sidewalk under your bike. This can be adjusted to the point of replicating the full puddle left by our famous PANHEAD™ motorcycles! Remember, we at Harley Davidson will sell you whatever you want to make your biking experience more authentic!